Your Go Goodwins Manchester Storm will have two new faces on the bench this Saturday, with the Hull Pirates Lee Bonner being called up, and former Manchester Phoenix & Guildford Flames forward Andy McKinney, on trial at the club. Bonner, who has played with Pirates for the last 3 seasons, is no stranger to Elite League hockey, taking to the ice with the Hull Stingrays in their final season of Elite League hockey back in the 2014/15 season. The young British forward has also spent time in America with the Iowa “AAA” and Austin Bruins. Andy McKinney joins the club on a trial period, after leaving conference rivals the Guildford Flames for personal reasons. Many Manchester hockey fans will remember McKinney for his time playing for the Manchester Phoenix. Depth is what separates us from the big boys. We need to be smart with where and how we spend our budget. Having the opportunity to trial some youth from Hull was always in our plans and I’m looking forward to seeing how Lee does at this level. Andy kind of fell in our lap and we will see how everything works out with him. He has good experience and I like players who play on the edge and he certainly brings that as well. 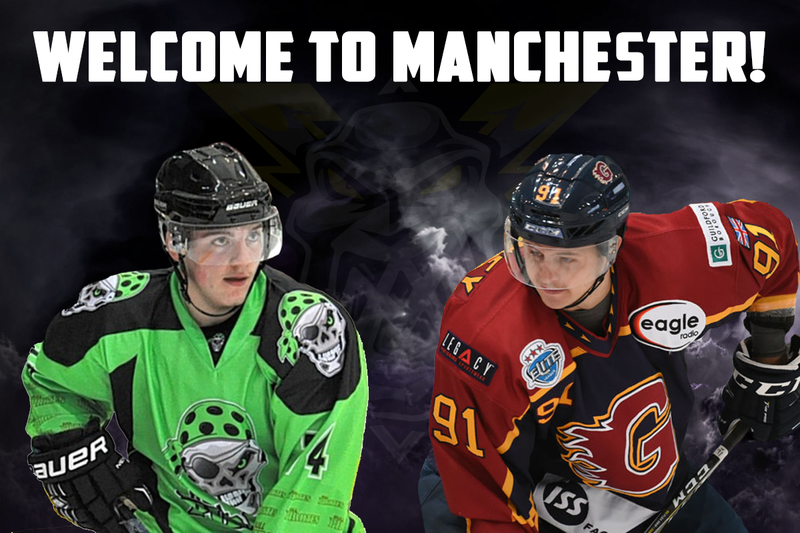 Be sure to give both players a massive welcome on Saturday when they take to the ice for your Go Goodwins Manchester Storm!